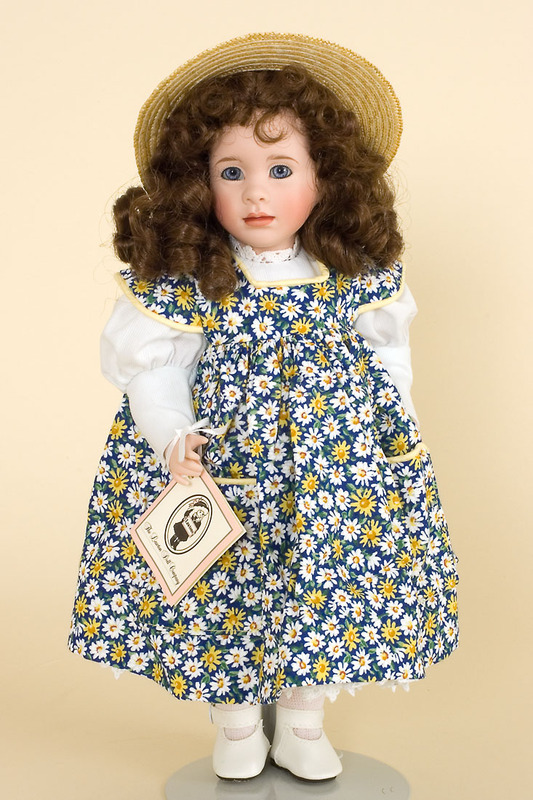 Daisy is an all body porcelain art doll from the Language of Flowers Collection of Wendy Lawton. This doll stands approximately 14 inches and was produced in a limited edition of 350. In the language of flowers, Daisies symbolize innocence. This Daisy looks at the world through wide blue eyes. She wears a dress of white covered by a daisy print pinafore trimmed in buttercup yellow piping. Daisy wears a crisp straw hat on her brown curls.